Craig Atkinson, with credits in award-winning documentaries such as “Detropia,”made his disquieting directorial debut with “Do Not Resist,” a documentary film that made its Boston debut at the Museum of Fine Arts this month. The film examined the militarization of police forces in the United States, a subject of much debate as police responses to perceived public safety threats have become increasingly more aggressive. The film revealed that these forces have an arsenal of military grade equipment the likes of which local departments have historically never used. 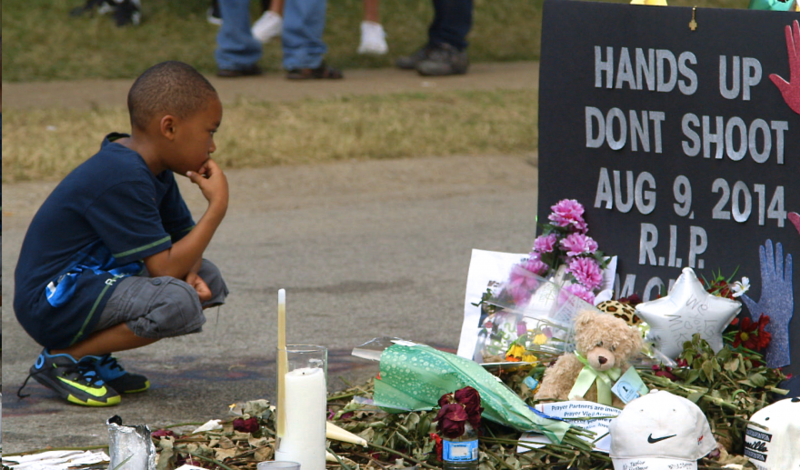 The film inspired discomfort during scenes of mounting tension between police and demonstrators in Ferguson, Missouri, following the shooting of Michael Brown. A destructive SWAT raid that yielded nothing more than a single confiscated bud of marijuana, and hearings regarding the use of military equipment on U.S. soil, which left sitting U.S. senators speechless. Also in the mix, most prominently at the bookends of the film, are clips from a seminar given to a small police department by author and retired Army Lieutenant Colonel Dave Grossman, a wide-eyed and vehement advocate of fighting violence with violence. He implied that the U.S. could one day become a militarized state of the likes of Russia and Mexico. With endorsements from multiple domestic law enforcement agencies, Grossman participatesd in a 200 event-per-year speaking tour. The imagery in the film was as sharp and cinematic as that of a scripted film, but with all the cutting realism of a respectable documentary. The imagery in the film is as sharp and cinematic as that of a scripted film, but with all the cutting realism of a respectable documentary. Rolling shots of dark Ferguson streets showed ejected gas canisters soaking in puddles as police in full riot gear pushed back crowds. SWAT officers were also shown hanging out of speeding vans. Another shot depicted training sessions in which officers fired assault rifles at a firing range while heavily armored vehicles passed plastic tricycles on lawns in suburbia. All shots served to alienate the viewers in the end. Atkinson’s various interviews, as well as his sit ins at senate hearings, SWAT briefings and Grossman events, helped to ground these extreme images; this is not a thriller, but a piece of the world we inhabit. The true weight of the action is fleshed out here, where consequences can be assessed. These scenes coupled with Atkinson’s minimal text narrative moved the film smoothly through its first two acts. The third act, an examination of the latest surveillance techniques police have used via private data collection organizations, is much less visually striking and captivating than the earlier scenes, despite the undeniable newsworthiness of the content. Perhaps a dispersal of the intelligence aspects of the police trade throughout the film would have alleviated this issue. The only other prominent blemish on an otherwise immaculately cut and presented film is the lack of a responding voice from police, a counter to the message that would provide some more credibility. Atkinson’s lens seems only to capture the worst moments in policing and policy blunders. However, the film is by no means taking liberties with reality. It simply chooses to depict extreme cases to strengthen itself. The film remains bleak right through its final seconds. This is after all an ongoing crisis, and the lack of resolution or solace is a true testament to the timeliness of the film. Atkinson’s first effort as a director is a must see for American audiences, a think piece of immense interest to the voting public. The film will continue with screenings at the MFA through Nov. 26.